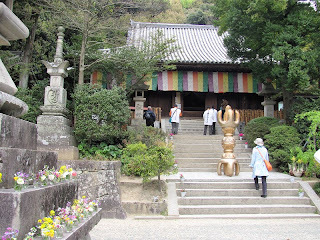 Before setting off on our hike from Temple 44 (Daihoji) to Temple 45 (Iwayaji) today, we stopped for a visit at Ishiteji (Temple 51) since some of the group didn't have a chance to visit it yesterday. 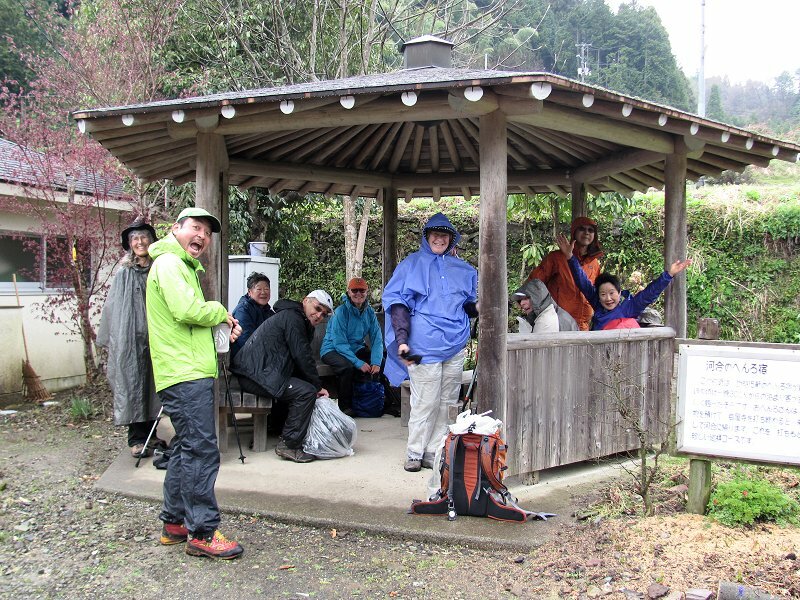 Here is part of our group at Ishiteji's main hall (hondo). 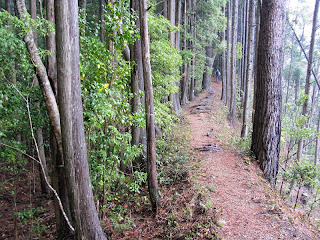 After our visit to Ishiteji, we drove to the Kuma Kogen ("Bear Plateau") area south and east of Matsuyama. 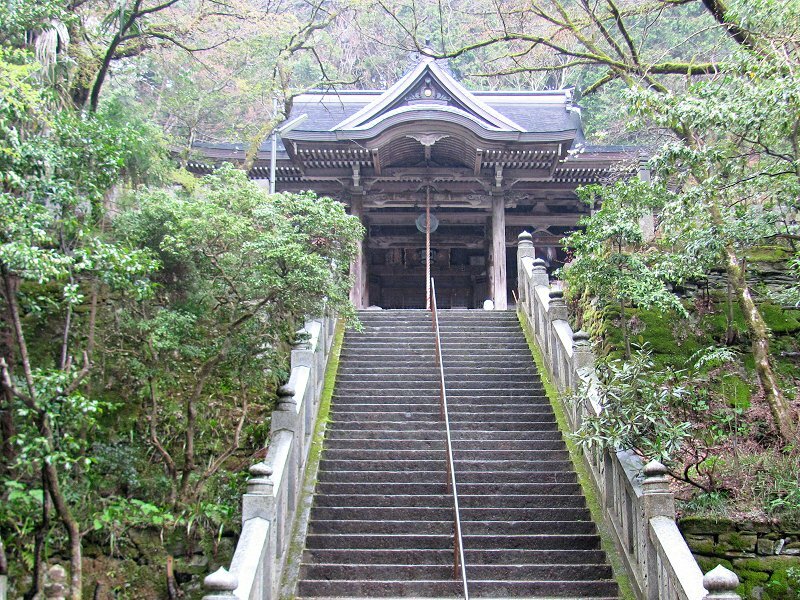 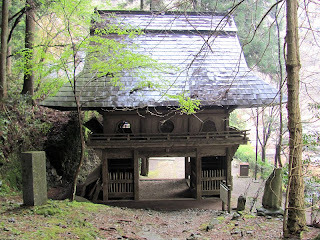 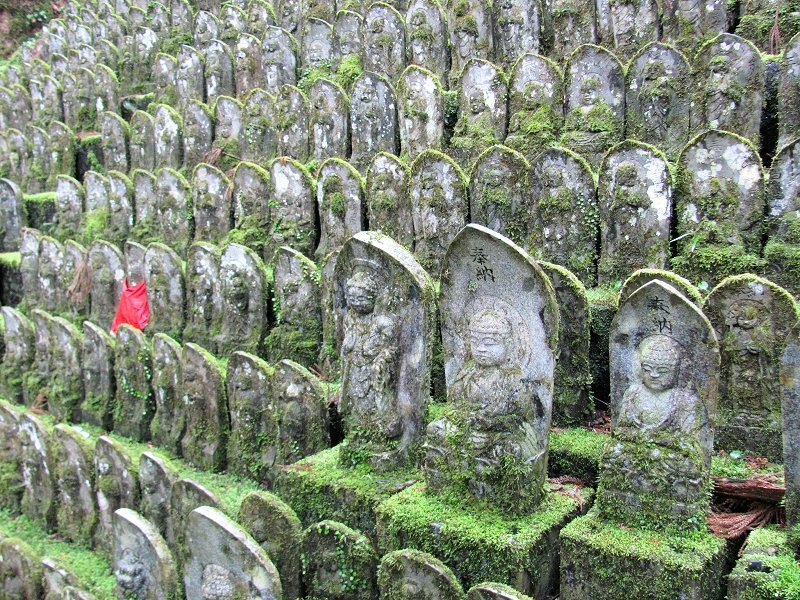 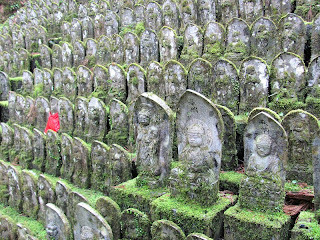 We started our day's hike at this beautiful forest temple called Daihoji (Temple 44). 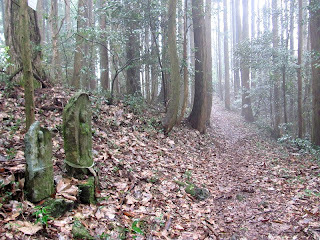 It was lightly raining for most of the day, but the mist and drizzle added a lot of atmosphere to the walk. From Daihoji, the route led us over a forested ridge before dropping to a small village in the Kuma Kogen where we stopped for lunch (out of the drizzle) in this thoughtfully placed henro shelter. 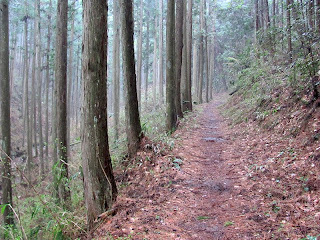 A soft, leaf-cushioned path leads through stately woods of Japanese cedars en route from Daihoji to Temple 45 (Iwayaji). 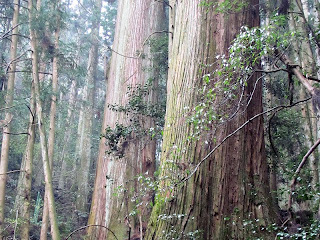 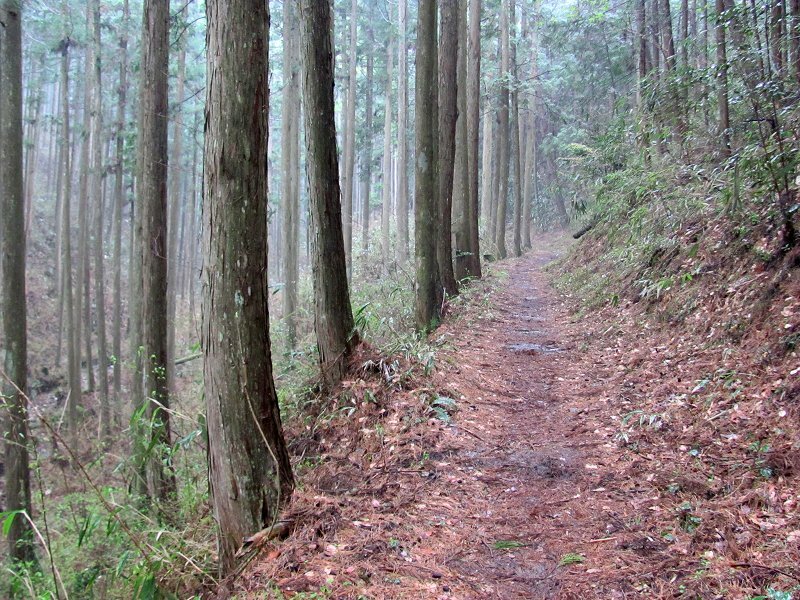 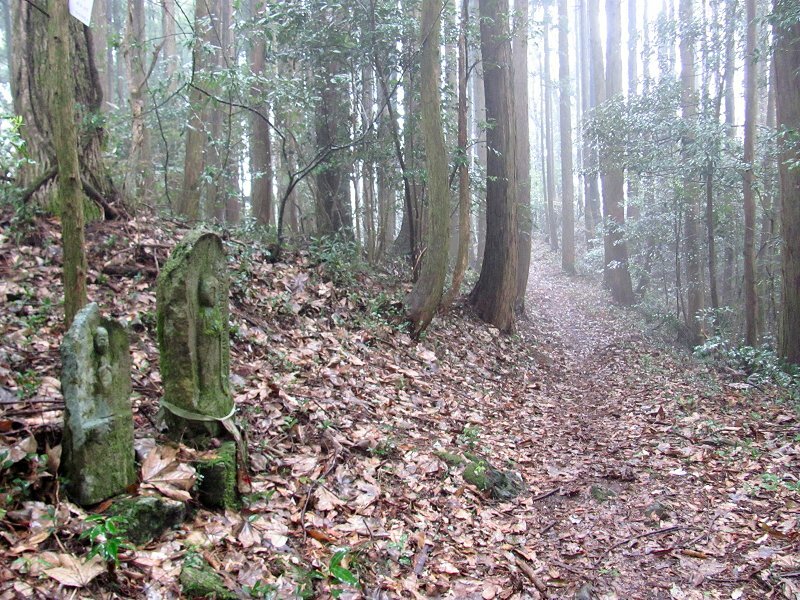 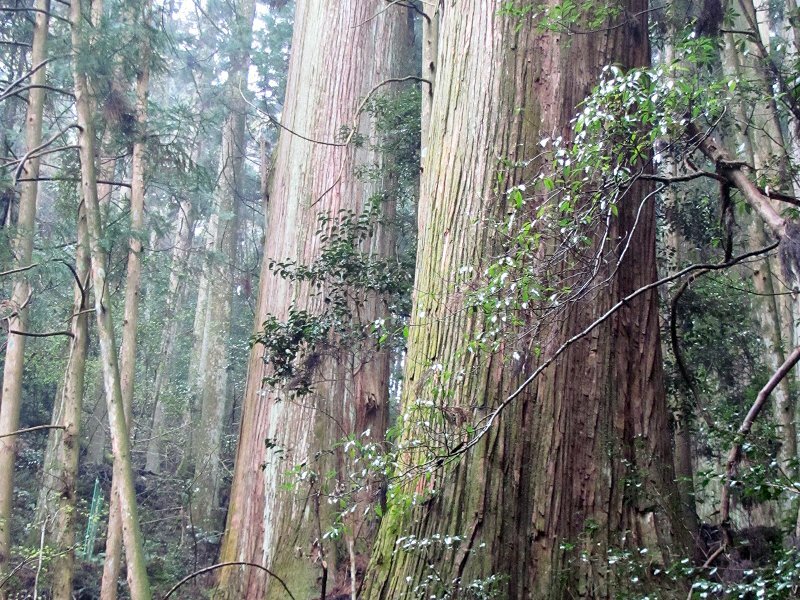 A section of the henro trail between Daihoji and Iwayaji passes through misty woods. 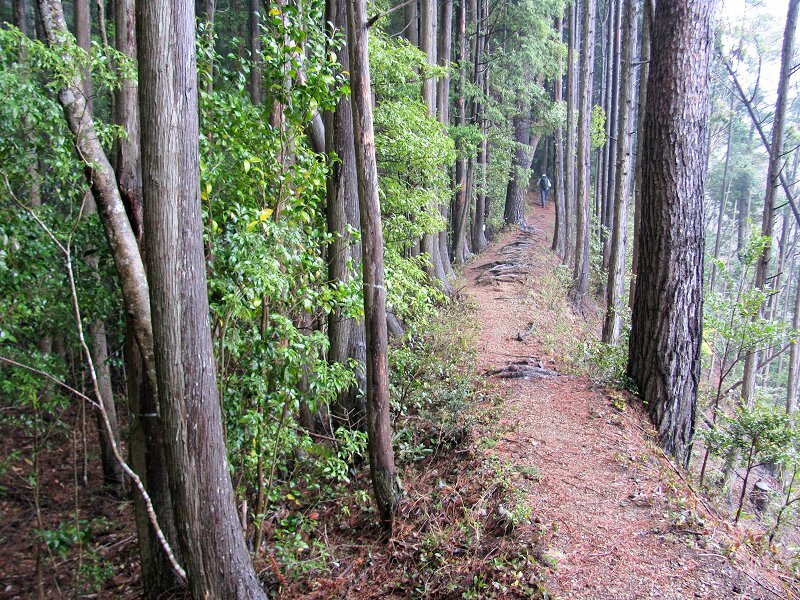 A particularly lovely stretch of trail atop the forested ridge-top between Daihoji and Iwayaji. 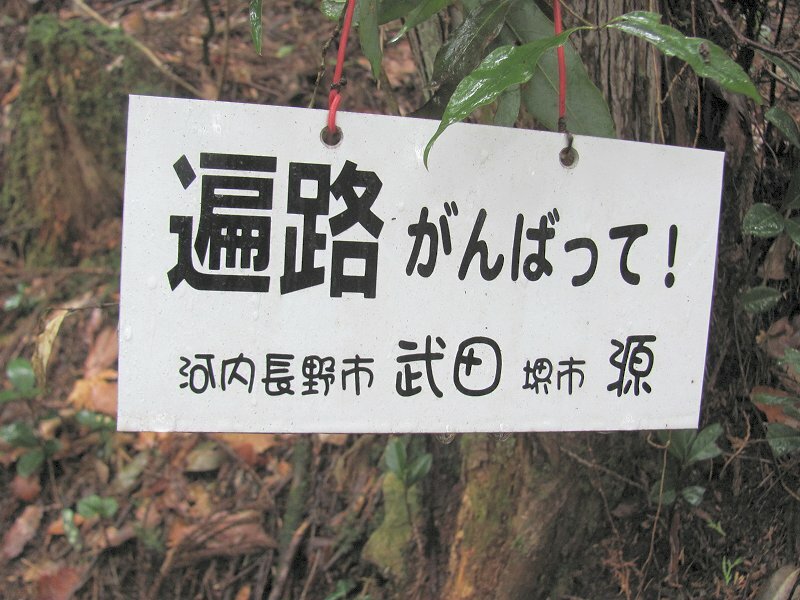 This sign reminds walkers to persevere. Ganbatte! 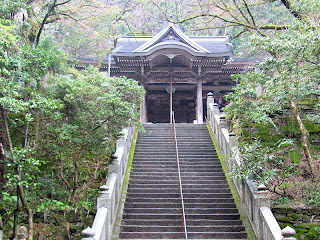 Suddenly, the temple gate for Iwayaji appears! 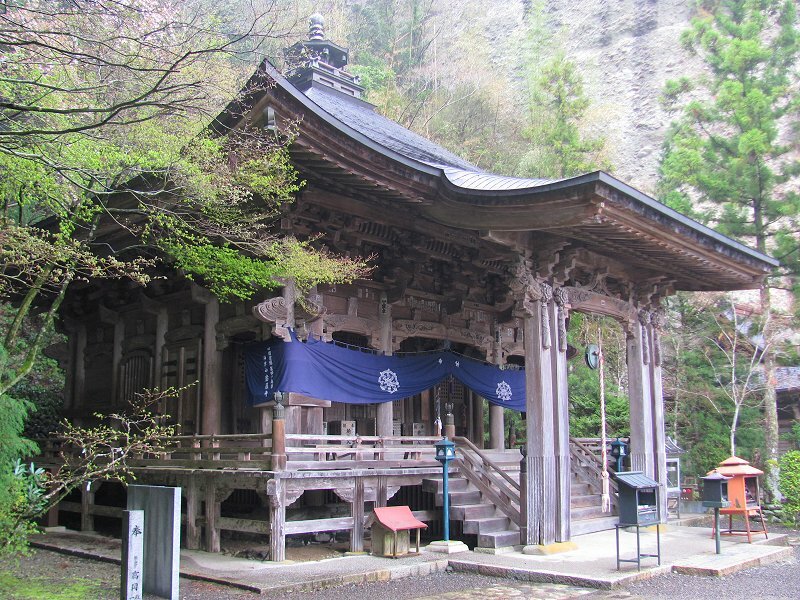 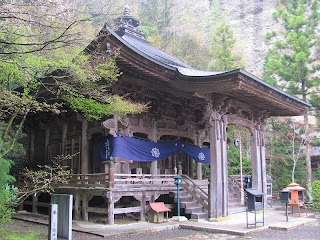 The hondo (main hall) at Iwayaji is built against a towering cliff face.